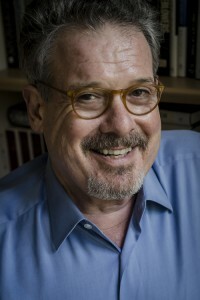 Randy Fertel, Ph.D., author of the new non-fiction book, A Taste for Chaos: The Art of Literary Improvisation, has taught English at the university level at Harvard, Tulane, LeMoyne College, the University of New Orleans, and most recently with the Graduate Faculty of the New School University. He holds a Ph.D. from Harvard where he received a teaching award bestowed by student vote. His first book was a New Orleans memoir based on his parents, The Gorilla Man and the Empress of Steak, which won widespread acclaim. A specialist in the literature of the Vietnam War, he organized a major conference called My Lai 25 Years After: Facing the Darkness, Healing the Wounds, at Tulane University in 1994. The initiative received both a Special Humanities Award from the Louisiana Endowment for Humanities and an Addy Award for a direct-mail promotion piece he designed. Randy has served as a faculty member for Words & Music on many occasions, including 2010 when he delivered a moving introduction to the literature of war and to National Book Award Winner Tim O’Brien, who gave the keynote address at the National World War II Museum. This year, he will deliver the keynote address for Words & Music on the theme of The Art of Improvisation in Words, Music, and Life. Randy is President of both the Fertel Foundation and the Ruth U. Fertel Foundation. The Fertel Foundation has a special interest in initiatives from which new communities and new insights may emerge and initiatives which challenge entrenched communities of power. One such project, the Ron Ridenhour Prizes for Courageous Truth Telling, is co-sponsored by the Nation Institute. Award ceremonies are held every spring at the National Press Club in Washington D.C. The New Orleans-based foundation, established in 1999, also supports projects to rebuild a better New Orleans – and create national models – in a post-Katrina world. 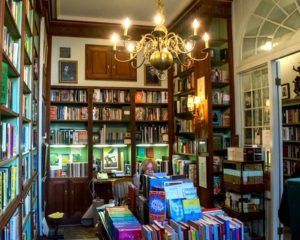 The Ruth U. Fertel Foundation, named for his late mother, is devoted to education in the New Orleans area and has long been a patron of Words & Music, which offers continuing education in the literary arts for developing writers of all ages. Randy—a member of the New Orleans Food Policy Advisory Committee, which has made many recommendations to improve the local food system—leads the task force that brought the Edible Schoolyard, founded by Alice Water, to the Samuel J. Green School in New Orleans. Randy also has chaired a task force for Artist Corps, which is putting musicians back in the schools of New Orleans.